The annual KDWB Jingle Ball kicked off Monday night on an uncharacteristically balmy December night. 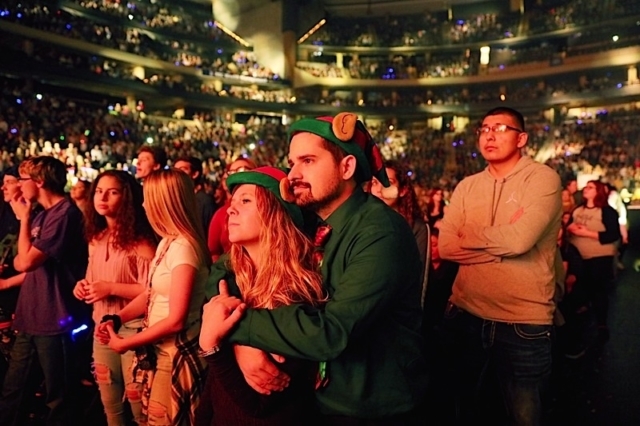 By the time the audience left the Xcel Energy Center, downtown St. Paul was covered in fresh snow and twenty degrees colder, a fitting weather change after a performance sparkling with holiday cheer. Other things that sparkled included: the fruity NA beverages in the sweaty palms of excited tweens, the looming iHeartRadio signs that spangled every corner of the stage, and Niall Horan’s eyes. Nothing sparkled quite as much, however, as Charlie Puth’s bizarre production choices. Though his vocal performance was flawless for hits like “Attention”, and “One Call Away” (he is one of the rare humans blessed with technically “pitch perfect” vocal abilities), the graphics on the giant screen behind him were akin to a 2000’s pre-teen who has just discovered Windows screensavers. Each song had a different filter, and unfortunately, Puth’s cheesy hit “See You Again” was broadcast to the arena entirely in sepia. 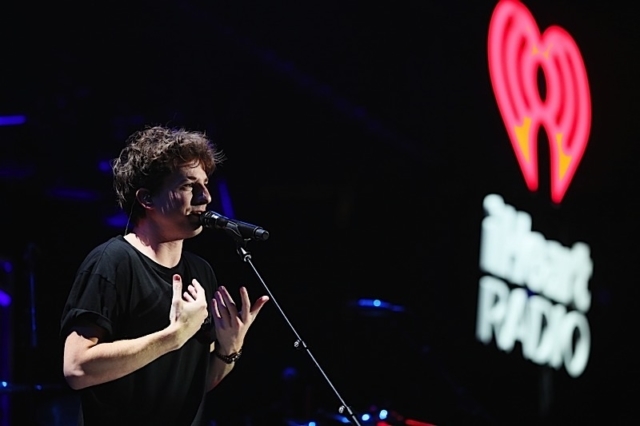 Jingle Ball, an enthralling series of mini-concerts put on by Our Lord iHeartRadio, is a poppy and mechanical lineup that is often sugary sweet and a tad hollow. The one redeeming quality of this year may have been the sincerity of many of the artists. They didn’t seem to be lip syncing, and many of them seemed determined to connect with the audience despite the weird, fast pace of the event. This year also featured an interesting mix of ex-band members who are determined to be known as solo artists now, damn it. 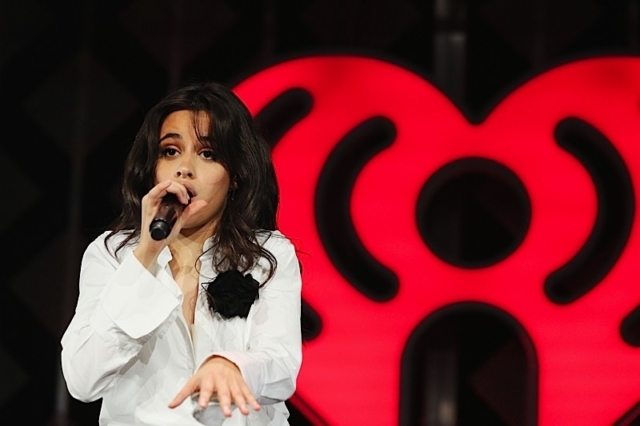 This included Camila Cabello, who performed with her group Fifth Harmony at Jingle Ball 2016 but returned this year on her own. Former (can we say former yet?) One Direction member Liam Payne also performed about five acts ahead of fellow 1D dude Niall Horan, which no doubt must have been awkward. It’s no secret that the two have gone in drastically different musical directions, however. Liam performed his strange, rap-infused hit “Strip That Down” (minus Quevo, sadly), while Niall went all in with a true singer-songwriter performance, equipped with an acoustic guitar and an Irish lilt that was disgustingly endearing. I don’t want to say I’m in love, but…I can’t say I’m not. The only other performer competing for my heart (and the heart of surprise performer G-Eazy) was Halsey. Her vocal performance was shameless and fierce during hits like “Bad at Love”, and she moved across the stage with confidence. She’s the kind of artist one would describe as magnetic, and if she hadn’t been culturally appropriating in her cornrows all night long, she would have had my heart. Ke$ha also performed classics like “Tik Tok” and “Take It Off” with gusto, followed by an emotional performance of her recent single “Praying.” And no, she did not try to hit that one note that sounds like a dog whistle. Although she was a good performer, the worst moment of the night by far was when Ke$ha announced that there would be a “guitar battle” between middle-aged guitarists John and Tim. This was excruciating, from the unoriginal riffs to the uncomfortable end, at which time Ke$ha asked the audience of tween girls to “point at who they thought won”. Unsurprisingly, they didn’t give a s***. It was deeply painful. In 2006, I attended Jingle Ball at Myth Night Club. Jojo had laryngitis and I had to leave before Fall Out Boy performed because it was past my bedtime. This year it all came full circle as Fall Out Boy returned to perform a mix of old and new jams. I watched as kids filed out of the Xcel to go home to their beds, all while Patrick Stump gave his all to “Sugar We’re Goin Down.” It made me feel weird. Halsey is half black, so her wearing cornrows isn’t cultural appropriation.